Standard Delivery - This means that your goods will be processed as normal and shipped by Royal Mail. Ordered goods will usually arrive within 4 working days for most of the UK mainland. Priority 1st Class Delivery means that orders are treated as Priority Despatch and shipped by Royal Mail Tracked24. UK customers should take delivery of items we have in stock within 2 working days. With Priority Despatch we insure we dispatch your order as quickly as possible via either a next-day courier service or Royal Mail Tracked24. This should result in you taking delivery the next working day (after dispatch) however we can make no guarantees on the speed of the postal/courier service used which is why we recommend allowing 2 working days. UK next day delivery means that orders are processed as a priority and shipped by courier for the next working delivery day. If your order is made before 4pm, it will be shipped for the next working day. If your order is made after 4pm it will take 1-2 working days. If your delivery address is in the Scottish Highlands & Islands, Isle of Man and Northern Ireland, we'll use Royal Mail or DHL if the items are heavy. Delivery times may be extended, depending on where exactly you live. The UK Next Day delivery option is not available on back orders. Orders are processed as normal and shipped by RoyalMail Tracked 48. The order can also be tracked. Orders are treated as Priority Despatch and shipped by RoyalMail Tracked 24. Where will sustuu deliver goods? Sustuu deliver to over 70 countries worldwide. What delivery method does sustuu use? For UK orders we use Royal Mail or a Courier. If your delivery address is in the Scottish Highlands & Islands, Isle of Man and Northern Ireland, we'll use Royal Mail or DHL if the items are heavy. Delivery times may be extended, depending on where exactly you live. 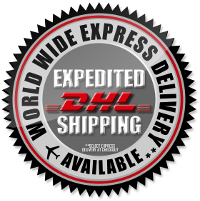 For International Delivery we use DHL or Royal Mail Airmail to despatch your order. If you have a problem with a delivery or with goods damaged in transit, send us an email using our contact form. Sustuu offers courier delivery to international customers allowing orders to be fully traceable. The price of this service is dependent on the delivery country or region. If your order qualifies for the courier service you will be shown this as a delivery option in the Basket and Checkout pages. Here you can select which delivery method you would like. If you select to upgrade to the traceable courier service we will send you an email with details on how to track your order once your order has been placed. Please be aware that if you request that goods are left safe via the courier notes, Sustuu cannot claim for missing items or damage to your parcel. As a result, in the event of an absence, we strongly recommend that you collect your parcel from a local delivery depot or instruct the courier to leave your parcel with a trusted neighbour. Sustuu offers FREE DELIVERY to all of the UK on almost every product! Please note that certain very large items may incur a small additional charge for very remote parts of the British Isle. We also offer Free International Delivery depending on the total value of your order. Your free delivery threshold for your chosen shipping destination will be displayed in your sustuu shopping basket. Please note that free delivery is only available via www.sustuu.com and our satellite sites. If you are unsure if your order qualifies for free delivery please check your shopping basket. You can choose your delivery options in your sustuu shopping basket. No - you need to select it from the checkout screen. Yes - we process orders where priority despatch has been paid for first. If you pay for priority despatch, we will despatch the items we have in stock straight away with the remainder going onto back order. These items are despatched when they have all come into stock or after a week, whichever is sooner. Pay for priority despatch in the normal way - that way, we'll despatch what we can as soon as we can. We will wait for 5 days, then send the items we do have in stock. The remaining items will go onto back order. What happens if an item in my order sells out while I'm waiting for the rest of my order to come into stock? For items where there is limited stock, we will give priority to customers paying for priority despatch. If you have chosen our free delivery option, you may lose out on a great deal - sorry! Sustuu offer free delivery worldwide. To qualify for free delivery outside of the UK a minimum spend is required.